Today's giveaway is coming from Dr. Tom Potisk, AKA the "Down-to-Earth" Doctor. Get a healthy start to the New Year with the new book Whole Health Healing - The Budget Friendly Natural Wellness Bible for All Ages ($24.95). Learn how to enjoy eating without weight gain, exercises that really work and those to avoid, and even how to raise healthier children naturally. This 364 page holistic self-help book is written by Dr Tom Potisk, a world renowned holistic family doctor. Besides setting the record straight on what real health is, he includes specific natural tips for over 40 ailments including fibromyalgia, arthritis, psoriasis, and even bedwetting with his easy-going conversational writing style. That's why he's known globally as the "Down-to-Earth" doctor and you can find the book on his web site (http://www.thedowntoearthdoctor.com). The down-to-earth doctor puts healthy holistic lifestyles within readers' reach in time for New Years. Caledonia, WI, November 8, 2010 - At some point in their lives, most Americans face the high-cost, high-risk traditional medical system. Soon afterward they are fed up with it. 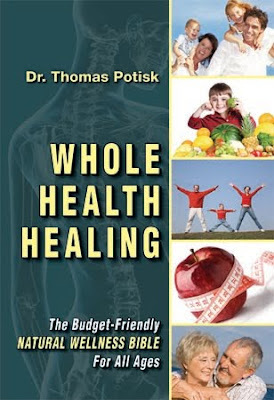 But now Dr. Tom Potisk's book, Whole Health Healing: The Budget Friendly Natural Wellness Bible for All Ages (Maven Mark Books), offers a healthy holistic alternative to common ailments and corporate healthcare options from a refreshing new perspective. This book is changing American healthcare culture by retrieving control from greedy and abusive corporations and politicians and restoring it to the people. Dr. Potisk helps readers end over-reliance on traditional medical care. Specific solutions are provided for over 40 common ailments including fibromyalgia, colic, headaches, infections, and bedwetting. Readers can apply Dr. Potisk's nutrition and health expertise to their lives and immediately reap the rewards. Internationally renowned and loved, Dr. Potisk has earned the nickname the “Down-to-Earth Doctor” because of his easy-going conversational style of teaching do-it-yourself natural health techniques. In a conversational style Dr. Potisk supplies readers of Whole Health Healing with practical, realistic advice about saving money on health care, the truth about 'real' health, the five most dangerous exercises, ways to enjoy eating without gaining weight, and how to raise healthier children. True dramatic patient anecdotes that run the emotional gamut from humorous to tragic empower and motivate readers to obtain optimum health. The author includes observations of healthier cultures from his many travels to remote and exotic locales; he even reveals the secrets of his own family’s extraordinary wellness. Either celebrities or "medical defectors" with minimal, if any, training and experience with holistic, natural healthcare have written many of the books on holistic health, but Whole Health Healing relies on a quarter century of training and experience of one of America’s leading natural healthcare practitioners. Dr. Potisk is a real holistic doctor who has helped thousands of patients in one of the largest holistic health clinics, which he founded in 1985. 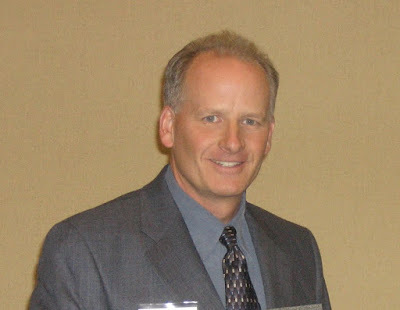 He graduated from Palmer College of Chiropractic and trained for hundreds of hours and is certified in nutritional counseling and wellness, and was elected Chiropractor of the Year, extensively publishes and lectures in his community. Dr. Potisk lives holistically on a farm in Wisconsin with his wife and 3 children. His goal is to improve lives by empowering people to make wiser healthcare decisions. Readers can purchase Whole Health Healing and learn other interesting information about this unique and innovative speaker, healthcare specialist, and author at Dr. Potisk's website: www.thedowntoearthdoctor.com. Kira Henschel, MavenMark Books: "Tom Potisk is one of the most caring, sincere proponents of natural healthcare I know. He is a skilled chiropractor, an eloquent and dynamic speaker…and all in all, a wonderful person to know and work with. …'Whole Health Healing' [is] a great resource for people of all ages, with straightforward advice, wry humor, and excellent holistic information." SPECIAL HOLIDAY OFFER: Those who order the book from this site before 12/25/2010 will receive 2 bonus ebooks - #1 The Healing Cookbook (a $12.95 value) containing 23 of Dr Potisk’s signature healing recipes including The Healing Martini, The Healing Frappucino, The Healing Muffin, and The Healing Fudge. #2 The Workbook and Study Guide companion to Whole Health Healing (a $14.95 value) filled with thought provoking questions, journaling exercises, and guided explorations to inspire and lead your personal journey to real health. BUY IT: You can buy this book from http://www.wholehealthhealing.com/ for $24.95. Visit http://www.thedowntoearthdoctor.com/ and tell me what you learned there. DON'T COPY PASTE THE OTHERS' COMMENTS! 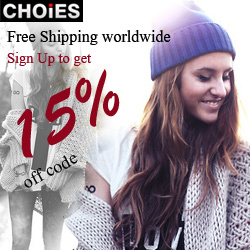 The contest will end on November 25, 2010 at midnight (Turkish time / EET). Open WORLDWIDE. Winner will be chosen by random.org and notified via e-mail. The winner must respond within 48 hours or another one will be chosen. Book is supposed to help you make wise health care decisions. Thanks for the wonderful giveaway. I loved the article on 5 healthy snacks. That smoothie looks tasty and would love to try it. I have learned that Dr. Thomas Potisk shares his knowledge and experience worldwide, in practical self-care health methods we, our families, and our doctors can benefit from immediately. This is a great book! I learned that besides sharing lessons from his professional training and daily clinical encounters, Dr Tom Potisk lavishes his books and presentations with fascinating real-life stories, some sad some joyful, that motivate and inspire us to see health and wellness in a new light. I learned this doctor was Chiropractor of the year, went to Palmer college, helps thousands of patients with his holistic practice. i learned that popcorn is one of his favorite healthy snacks! I learned that in the World Health Organization's ranking of the world's health systems, The US is #37. I learnt the recipe to make a Healing smoothie. I learned the author is a graduate of Palmer College of Chiropractic. I don't know if anyone else has posted this but I found out that one of his reports is entitled, The 5 Most Dangerous Exercises You Need To Avoid. This one should be interesting! He is the "down to earth" doctor! I learned the their cute dog is named Lou and is a Jackaby, a half Beagle, half Jack Russell Terrier. I earned that he was Dr. of the Year and that he also has a book for doctors. I learned Tom Potisk is called the “down-to-earth” doctor because of his family oriented country lifestyle and his simplistic, practical, and easy to implement health advice.